Hello everyone! Today, I've invited Sajita Nair at #thebrigadethatbuildsbrands. She is a former Army officer, a Navy wife & an acclaimed novelist. We talk about how the #military life can actually spur a #Milspouse to create meaningful work for herself. C. Please tell us something about yourself – what do you do, where are you based and how long have you been a fauji wife. 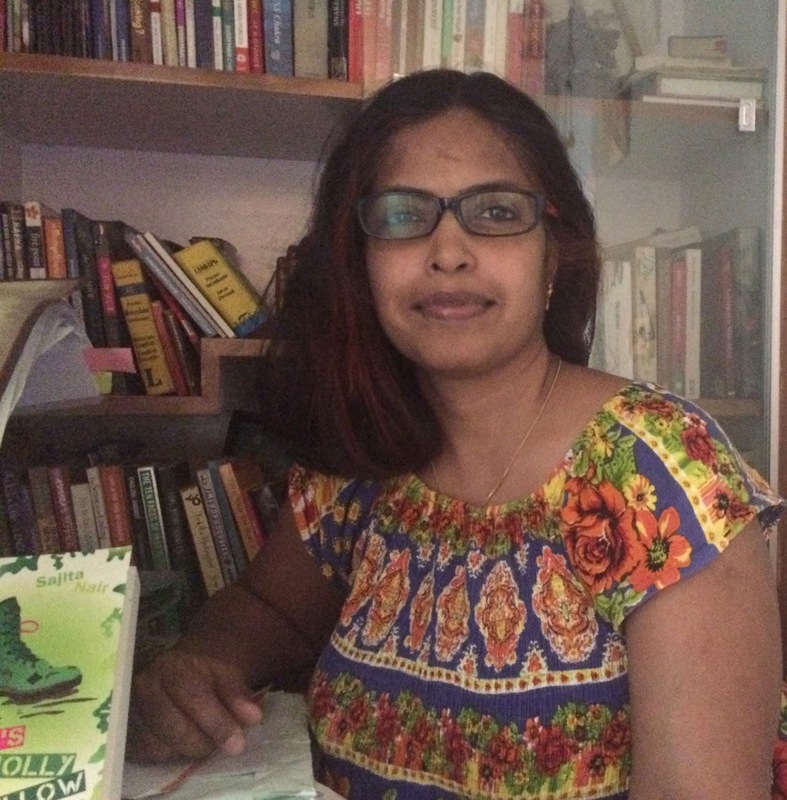 S.I am a former army Captain and writer based in Bangalore. My father served in the Air Force and I have been married to a Naval officer for the past twenty years. Hence I have experienced life in the three arms of the forces. C. What has been your business or creative journey been like: how & when did you start your venture? S.Post my tenure in the army, I began to work towards my dream of being a writer. Initially I published short stories, articles and travelogues in reputed publications. Only when I gathered enough confidence, did I attempt writing a full-length novel. My debut novel ‘She’s a Jolly Good Fellow’ was published by Hachette India in 2010 and follows the life of two pioneer women officers, trying to find their place in the male dominated army. C. Were you in a different profession and re-trained for the current one? If yes, can you share how/where you learned the skills required for your current profession? S.I learnt everything about writing, on the internet. Formatting query letters, researching information, editing written work and presenting a polished piece of writing to the editor – I learnt all these from various websites. For serious learners, there is no bigger guru than the internet. Hello everyone! For every #militaryspouse #entrepreneur I meet, I meet 10 other talented #military wives, who tell me that being their own boss from military bases in boondocks is impossible. Today, I speak to a young Army wife, who shows us how you can not only build one but multiple brands on the go. 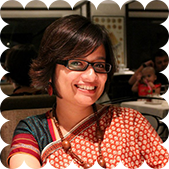 Meet my #bizbuddy Shreya Sharan Pawar and let's find out how she does what she does. S. I was an army kid and became an army wife in 2012. I am currently based in Wellington, Tamil Nadu but we will be shifting once again by mid April. As of today, I don’t know where I will be 6 weeks later. I am a solo entrepreneur and have 2 business ventures which are very different from each one. My first venture is“Burst of Happyness” - a brand of vegan, handmade & natural bath and body products. 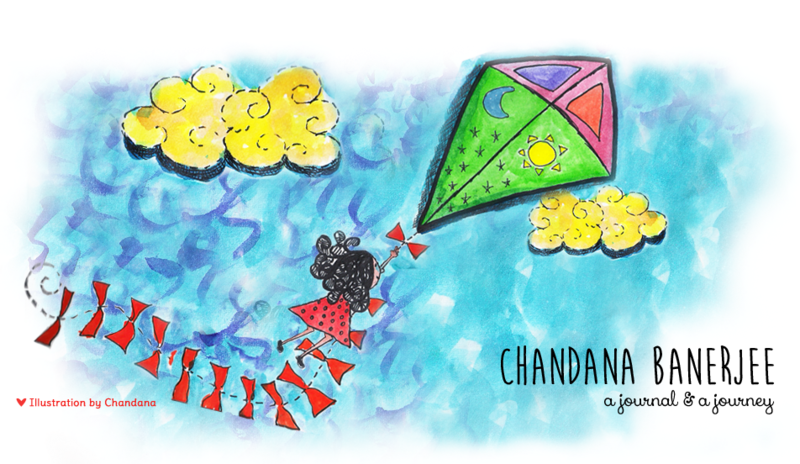 My most recent venture is Business Mentoring for creative Indian women where I help them build a business around a passion or a hobby. 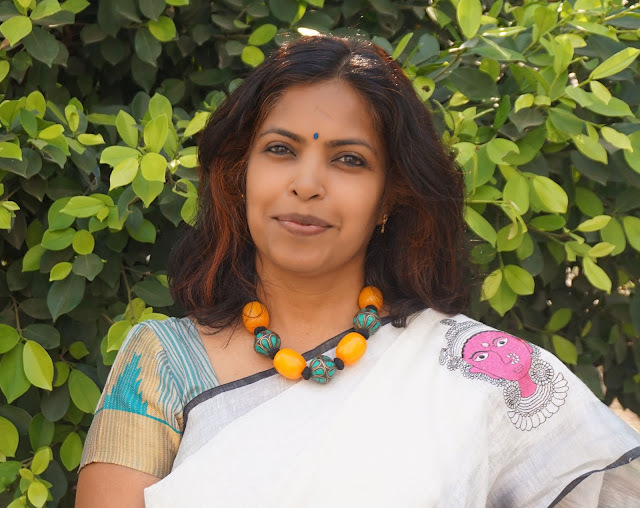 S. I have always been a creative, DIY kind of a person and my first experience of entrepreneurship was at the age of 11 when I tried to sell handmade trinkets and cards to a local store in Panagarh, West Bengal. Unfortunately, my dreams were dashed coz I sold none. I never thought of entrepreneurship again till I got married (while studying for my MBA), ditched a high paying corporate job offer post my MBA and moved to MamunCantt, Pathankot with my husband. That's when I started Burst of Happyness as a hobby from a Captain’s kitchen. 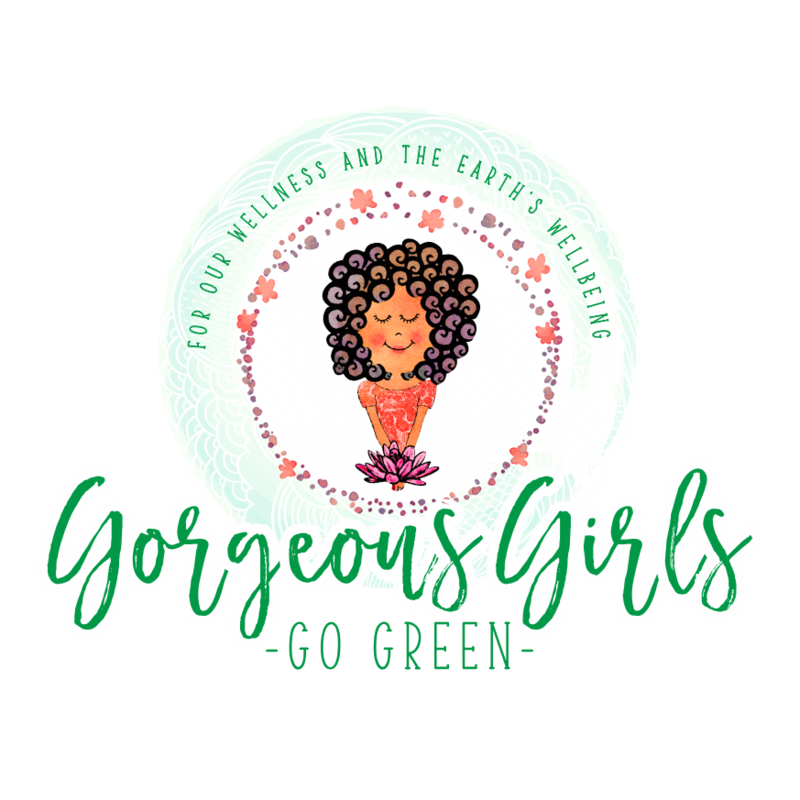 It was a result of my own struggle with severe acne and hormonal issues which prompted me to follow a sustainable, green and a natural lifestyle. Soapmaking was a hobby I had picked up along the way to avoid hormone disrupting chemicals present in most bath and body products. I combined my background in adverting + my MBA in Marketing and my soapmaking hobby to build a business. I started my other venture - Business Coaching - 2 years back. The reason for launching this was because a lot of women started to approach me seeing my progress with Burst of Happyness. 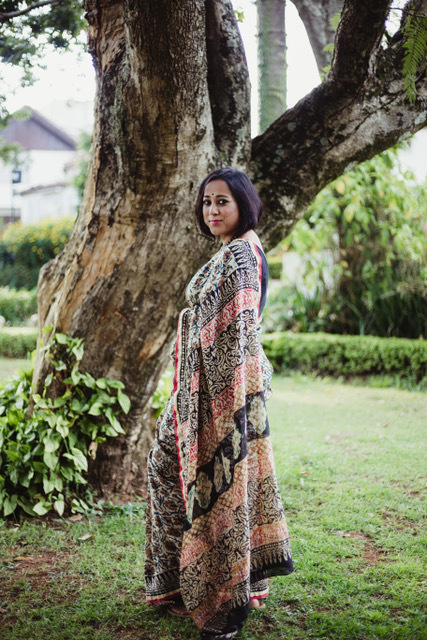 So, I use this platform to share tips, tricks and all the lessons I have learnt as a solo woman entrepreneur in India. Hello friends! We’re launching a new series this month called The Writer’s Den (#thewritersden)! Once a month, we’ll invite a writer and author to come over to the blog and tell us about their journey in writing and publishing, their craft and their struggles, their inspirations and their stories. Today, we’ve invited #inddieauthor Katie Mettner, who has written 36 novels and published 31 of those, to tell us what got her started in this journey. C. Please tell us about yourself – what you do, the number of books you’ve written, where do you live, your family. K. My name is Katie Mettner and I live in the Northwoods of Wisconsin near Lake Superior. My husband is a teacher for a local school district, and we’ve been married eighteen years. We had our own little instalove story. We met online in November 1999, met at Thanksgiving, he proposed on New Year’s Eve 1999, and we were married in April 2000! We have three kids, whom we call the three E’s because their names all start with E! Emily is starting college this year as a music education major, Edward is learning to drive, and Elias is learning the tuba! Our only pet is a very special leopard gecko named Leroy Jethro Gibbs (my daughter is a huge fan of NCIS). I’m disabled as an amputee, but I used to be a medical transcriptionist for a dozen years. That job gave me a lot of fodder for stories and the knowledge to write about physical conditions and how to research them. I spend my days writing, editing, reading, crocheting, and momming (is that a word?) I just finished my 36th novel and currently have 31 published. I have two more releases for 2018. Hello friends! 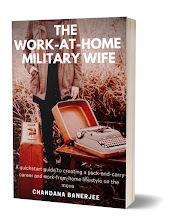 I recently wrote and published a Kindle book (which made it to the #amazonbestseller list in the first week) called ‘The Work-At-Home Military Wife – A quickstart guide to creating a pack-and-carry career and work-from-home lifestyle on the move’. It took me a few months, from start to finish, and it’s been one roller coaster of a learning experience. I’d love to write and publish more books, both non-fiction and fiction, and the lessons learnt here will help me in the months to come. 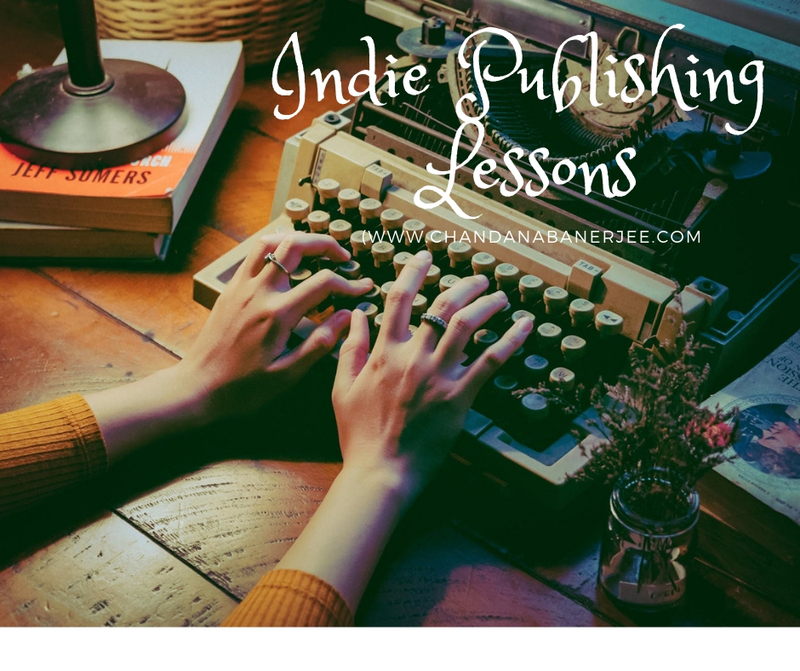 If you’re self-publishing your first book, I hope my journey will help you too. 1. Write down the ideas for your book, and choose one that you want to take up for the current project. 2. Break it down into a list of topics and create a table of contents. 3. Add in the extras like Acknowledgements, notes, copyright information and anything else that you want in your book apart from the chapters. 4. Set some deadlines for yourself, like maybe 1000 words each day or 45 minutes at your desk writing your book. While a lot of authors suggest writing tonnes of words each day, I fit things according to my schedule. This is the best thing about Hassan’s book; he asks you to spend only 30 minutes per day, if that’s all you have, to get your book done. 5. Spend at least 5 days a week on your book, so that you don’t lose the rhythm and flow. 6. Finish the book. This can be the tedious part because by the time you’re at the end of it, you might feel a tad bored or may want to take a break from it.